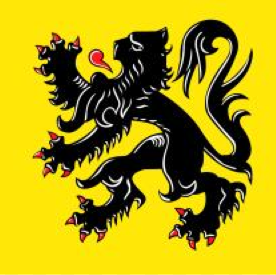 I have just attended a presentation by guest speaker, Javier Gimeno-Martínez (of VU University, Amsterdam), in which he spoke about how the branding of Belgian regions combines references to local history with hopes for the united EU future. Javier described nation branding as “a graphic negotiation with the past, present and future”. He observed that location brands (or indeed, many corporate brands too) incorporate flags, coats of arms, or other historicaly-established symbols in order to use “the weight of the past to legitimise new institutions”. Symbols of the past, he observes, are used by established institutions to maintain their power, and by new institutions to legitimise their place in a competitive market. for nation branding in particular, historical or traditional symbols reflect the citizen’s perception of a “shared place” and “shared community” that may have existed even before the nation was officially formed. Belgium was only recognised as a country in 1939, but it’s people recognise a shared community that extends back far further into history. The same can be said of many commercial brands, which may have only existed for a few years, but which seem to express longevity and tradition, and a community with a shared cultural history. Javier noted that it is the audience that primarily drives the design of these brands, as it is the people of a nation who perceive their own history. Moreover, those that have most vocal interest in their national identity – nationalists – tend to have strong views about their cultural history. The lion that adorns Belgium’s coat of Arms, updated for new audiences. 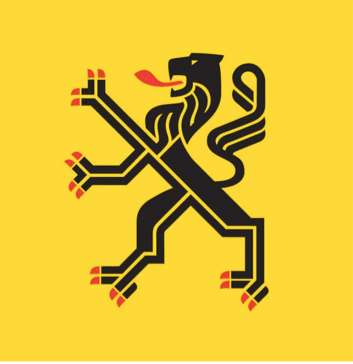 An attempt to modernise the Belgium lion by simplifying its contours, but maintaining the connection to perceived history. He discussed Belgian regional brands in relation to Belgian’s tripartite personal identities, as Flemish/ French/Dutch, as well as Belgian and European. Historical branding of European locations has been particularly meaningful since the establishment of the EU, which represents modernity and unity. 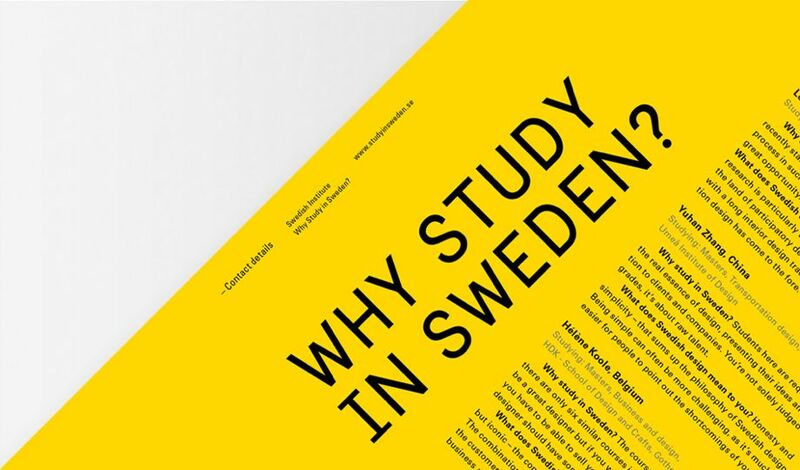 In most cases (except, he observed, Sweden), local regions feel the need to assert their local histories in contrast to the modernity of the EU. Even Brussels, which is the centre of the EU, is branded with an iris, drawn in art nouveau style. 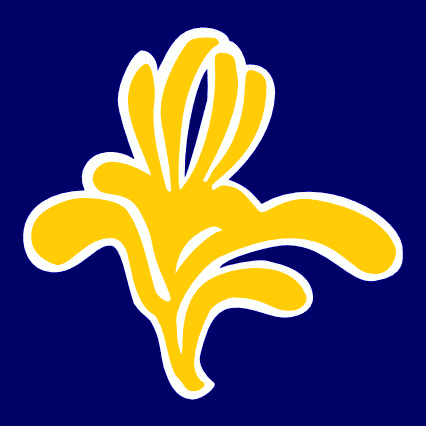 The image uses EU colours – blue and yellow – but maintains a historical motif and style. to maintain a connection with the past. Javier notes that such historical motifs almost always trump the values expressed by modern symbols. Even when national or regional brands do incorporate modern elements, it is usually only in colour and style. The central motif is almost always historical in its origins. Brussels’ iris brand uses EU colours but borrows directly from the city’s Art Nouveau history. It is interesting to consider these ideas in relation to the proposed redesign of the New Zealand flag. Though NZ is a relatively recent nation, its current and proposed flags aim to acknowledge histories. The current flag includes a Union Jack, thereby reinforcing the connection to its colonial past as part of the British Empire; the proposed flags nearly all contain Maori elements, thereby aiming to reclaim the history that was eroded/denied by colonial powers. Those proposed designs are an attempt to assert NZ’s cultural history before it became an official nation. Both flags contain historical elements, but reflect different histories. 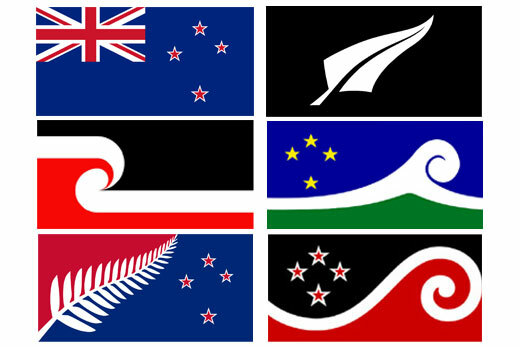 Existing and proposed New Zealand flags. In the video below, freelance graphic designer Aaron Draplin describes the method and resources that he uses to design a logo. The first few minutes are particularly worthwhile, as they outline a method that too many people take for granted. 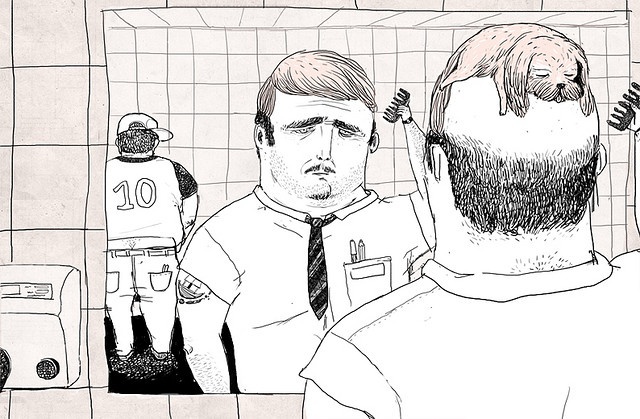 Draplin begins his projects by sketching. The video reveals how sketching is not just a matter of transferring ideas from the head to the page, but rather it is a form of active thinking. It is as if he is thinking through the page – using the pen and paper not to record ideas, but to generate them. Sketching is often described as a process of visualization, but Draplin does not have an image in his head before he starts to draw. Much of his best ideas are discovered serendipitously. The shapes that are drawn on the page are not planned, but drawn intuitively, and aesthetic judgements are made afterwards. Throughout the process, Draplin is reflective and responsive; he responds to the shapes on the page or screen as he draws them, describing how his lines ‘feel’ right or wrong. Draplin uses the practical example of starting with a brand name. He begins by writing the name in different styles of handwriting. 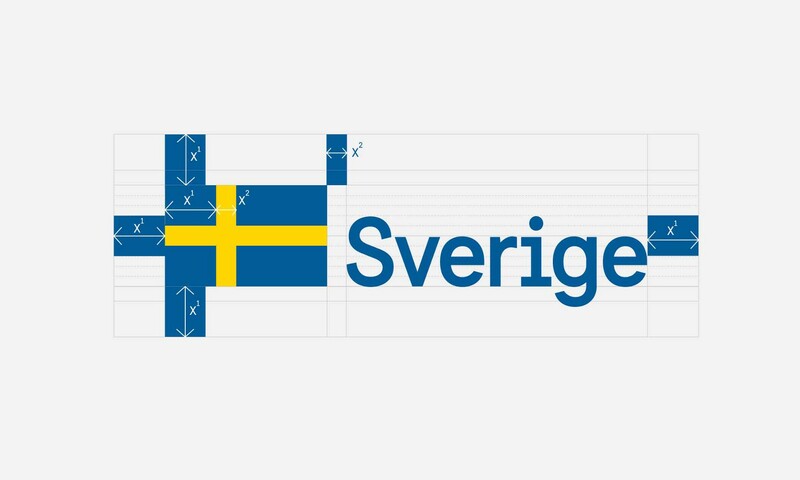 As he draws the strokes of the letters, he becomes aware of the lines and angles that have potential to be transformed into abstract shapes at the heart of the logo. These realizations, he argues, cannot arise from simply thinking about the name or seeing it as someone else has written it. The process of making a line on the page gives the drawer a tangible sense of the quality of the line, and invites associations with other potential lines and shapes. This responsiveness leads to inspiration. It can be difficult to reflect on one’s working method, as a lot of what we do seems to be instinctive. We tend to take our methods for granted, unaware that there are many different ways of responding to a single object or theme. Typically, understanding methodology begins by identifying what is most important to you. For example, you may be more concerned with colour, style, composition, meaning, audience reception, political context, etc. Not everyone will have the same priorities when viewing the image. When different people view an image or conduct a project, they will approach it in different ways. For example, when viewing a photo, one person may try to quantify its contents by considering the ratio of one colour to another; another viewer may consider the political or social connotations of the context in which the image appears; another viewer may may seek to understand the meaning as intended by the artist; yet another viewer may be more concerned with how the audience interpret the piece. All of these are valid, but different, approaches to the same image. For the Research & Enquiry module, students have been asked to end their blog by reflecting on their working method. This should involve considering how and why you work in the way you do, what your priorities are, and how that may affect your view of the work that you are doing, or the research that you have done. In an article for the Design Observer, Michael Beirut (2005) explores what makes something look ‘real’ or ‘genuine’. 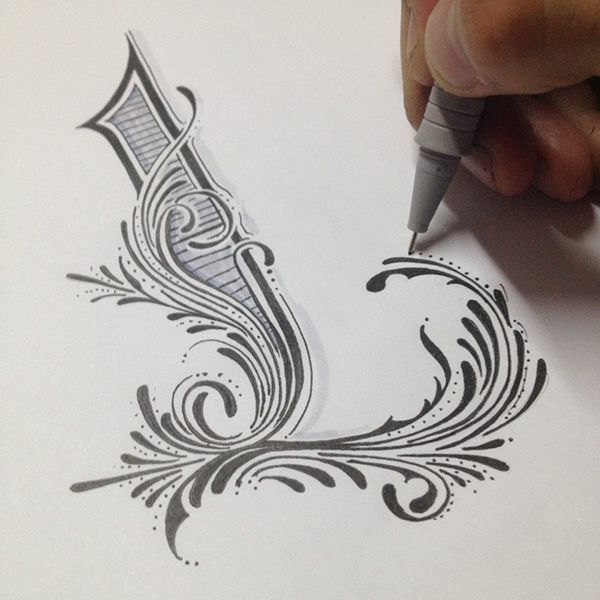 Some designers and illustrators make efforts to include markers of authenticity in their work, such as personal flourishes and imperfections. Postmodern graphic designer, Tibor Kalman, found authenticity in vernacular design. He felt that design produced by those without formal design education (such as signs in shop windows, event flyers, etc.) had a genuine ‘innocence’ that was eroded by learning about ‘good’ or ‘bad’ design. Beirut seems to equate authenticity to innovation, implying that copying is, by definition, inauthentic. This raises questions about the value of tradition. Isn’t tradition authentic? 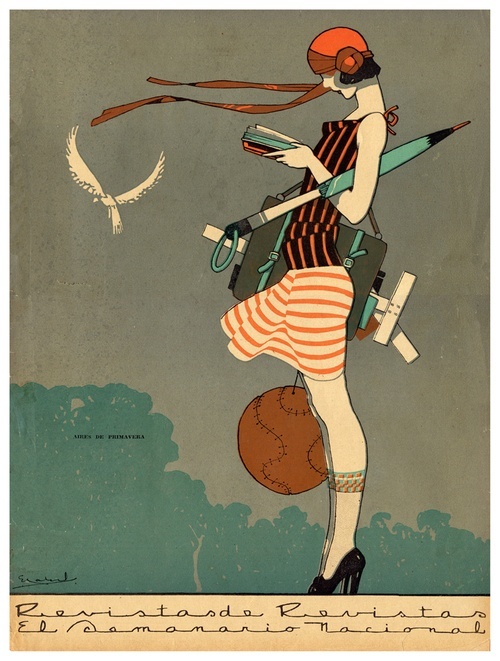 When designers or illustrators try to achieve an ‘authentic’ style, their first step is usually investigating the historical origins of a style. The commercial arts (graphics and illustration) have entered an era of cultural appropriation, in which styles are readily borrowed from elsewhere. Borrowing from another culture without understanding its values can lead to erosion of those values, so that the style becomes superficial (take, for example, Western mandala designs, with borrow Indian style without the religious values that underpin the form in its original use). To that extent, copying can be very inauthentic. So, what are the criteria for authenticity? Authenticity may be more about the designers/artists themselves than the work they produce. The origins of a person seem to give authenticity to the work that he or she produces. For example, and Italian designer producing a traditional-looking label for a pasta brand is considered more authentic than exactly the same label created by and English designer. Or, for illustration, an image is considered ‘authentic’ if the illustrator has directly experienced what he/she depicts as a core part of his/her biography. Essentially, there seems to be a rule that authenticity requires the creator to have ‘experienced’ (not just observed) his subject. Is this a superficial definition, or does it really matter whether a design is ‘genuine’? A23D: A 3D-Printed Letterpress Font from Adrian Harrison on Vimeo. The above video demonstrates the first 3D printed letterpress typeface. This is a brilliant example of how traditional practices can be adapted using new technologies. This video also contains an overview of letterpress printing which may be useful for those who have not encountered it before. Some of the most significant innovations in any field occur as a result of combining two things that have not previously been associated with one another. Combining old and new technologies into a new hybrid form creates opportunities to reconsider the value of something that otherwise seems mundane or outdated. It is a way of preserving and improving the past, while also demonstrating the applicability of new technologies. Hybrids can also occur by combining methods from different disciplines. For example, employing techniques from one discipline to solve problems set in your own field – architectural structures in fashion; computers used for art (we take this for granted now, but the idea was grondbreaking in the 1980s); molecular gastronomy; etc. Practitioners are able to innovate by taking any existing technique, technology or method and applying it in a new context. The technique/technology does not have to be new itself – it just has to be new to a particular context. At application, for the MA as well as thousands of other art courses around the world, students are required to submit a portfolio of work. This is usually a collection of past practice that reflects the students specialisms and abilities. The term ‘portfolio’ is also increasingly used elsewhere: we describe people as having ‘portfolio careers‘ when they drift from one role to another and acquire a range of unconnected skills and experiences; students are required to submit ‘portfolios’ at the end of modules during their studies. The ‘portfolios’ that students are required to submit for assessment are very different to the portfolio that they must present when they apply for a course. The most significant different is perhaps that the portfolios for assessment are not just collections of work, but rather, records of an investigation that has taken place during the module. This investigation typically yields practical outcomes, but is represented in the portfolio in a variety of forms, including supporting research and development. The term ‘portfolio’ is used here to encourage students to consider the importance of every aspect of their project planning and development, not just the outcome that results at the end of the module. Universities may, therefore, seem to use the term ‘portfolio’ in contradicting ways, with different expectations each time. This can be confusing for students who have entered the course on the strength of a portfolio of previous work, and have developed an understanding of a portfolio as a collection of final outcomes. It is the responsibility of tutors to enable students to expand their understanding of the portfolio into something that is, more broadly, a collection of a evidence in a variety of forms. It is this approach, that considers the importance of evidence, that leads to the student’s growth during his or her studies. By gathering, reflecting upon, and presenting evidence of a process, the student becomes more reflexive practitioner, and this generally results in more innovative outcomes. This broader definition of ‘portfolio’ focuses on the value of variety: varied experiences, varied forms of communication, thinking inside and outside of the box. It should not demonstrate the same skill over and over again, but rather, it should show flexibility and an ability to consider a problem from a variety of perspectives. At MA level in particular, students are encouraged not to rely on their existing skills, but rather, to expand and to experiment; to take risks with new things, and to develop all aspects of their creative process.